As scientists grapple with the behavioral, ecological, and evolutionary impacts of extreme climatic events, the journal Philosophical Transactions of the Royal Society B created a special June issue to explore what is known on the topic and pioneer new approaches to this challenging and rapidly expanding field of study. The issue, which was published online May 8, 2017, was co-edited by Wood Hole Oceanographic institution (WHOI) biologist Stephanie Jenouvrier. In addition to her role as co-editor, Jenouvrier is also co-author of a study featured in the special issue, which examines how extreme ocean warming events further stress an already declining population of black-browed albatross in the French Southern and Antarctic Lands. “Previous studies on the effects of climate change on ecosystems have mainly focused on changes in mean temperature—the average temperature during a given time period,” says Jenouvrier. By looking at average temperatures from year-to-year, scientists can identify trends to determine if temperatures are warming, staying the same, or getting colder, and study how these trends affect ecosystems. However, because the trend reflects average temperatures, it “smoothes out” variability and extreme events and the dramatic effects those events can have on species and ecosystems. It is the effect of such variability and extreme events in ocean temperature on an albatross population that Jenouvrier and her team were determined to study. “Changes in variability can have very different consequences on population dynamics for both animals and plants,” Jenouvrier says. 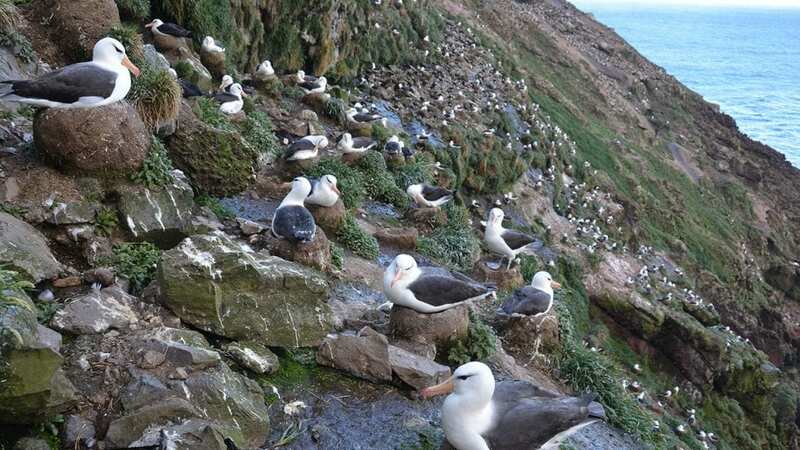 To assess impacts to albatrosses, Jenouvrier and her co-authors from the Centre d’Etudes Biologiques de Chizé in France, examined sea surface temperature data and records of extreme warming events since 1978 on albatrosses breeding at Kerguelen Island. To do so, they developed computer demographic models to compare the effects of changes in both the mean (average) sea surface temperature and the sea surface temperature variability on the population growth and the proportion of age groups within the population. An increase in temperature variability leads to more frequent warmer and colder events while an increase in the temperature mean increases the occurrence of warmer events but decreases the occurrence of colder events. 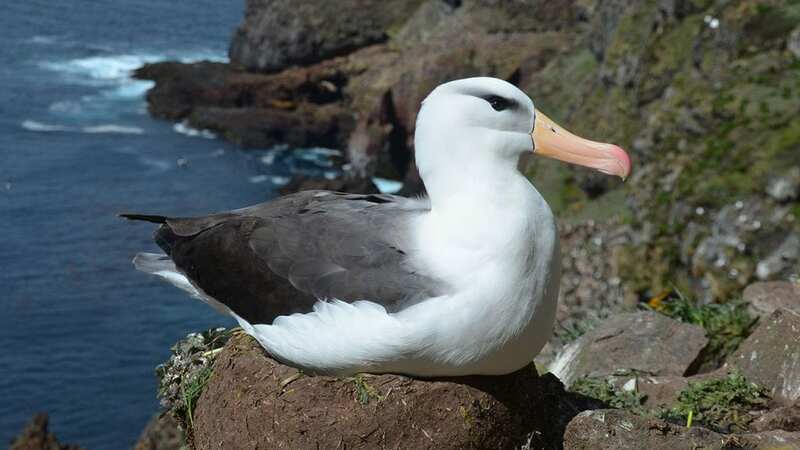 The researchers found that changes in the variation of ocean temperatures had a threefold effect on the growth rate of the albatross population compared to changes in just mean ocean temperature. Increasing the variation of ocean temperatures—temperatures that range well below or above the optimum for the species—leads to population decline, while increasing the mean (average) of ocean temperatures results in population increase. Although more frequent hotter extreme events will lead to population decline, a change in the mean leads to more frequent warmer events that favor this specific population because the optimal value for albatross is actually warmer than the current historical temperature. In other words, the effect of extreme events can be buffered when species live in cooler than optimal environments, providing a kind of “climate safety margin” for those species. However, even for those species that do experience a buffering effect from the climate safety margin, it’s likely to be only temporary as future temperatures continue to rise beyond their optimal temperature range, she adds. The researchers also studied impacts of extreme events on various age groups of the albatross population. Both models—one which increased temperature mean and the other the variation of sea surface temperatures—resulted in younger populations: an impact with potentially important conservation implications for the species because younger birds are most likely to be those caught in long-line fishing hooks.